The White Plains personal injury lawyers at Worby Vecchio Edelman have extensive experience in fall down accidents caused by snow and ice. This surprisingly complicated area of the law comprises a significant part of our practice. There are many specific rules and local ordinances that apply to this type of accident. Very often, where your accident occurs can be the deciding factor as to whether you do or do not have a case. In New York City, for instance, property owners are required to maintain the sidewalk that abuts that property in a reasonably safe condition, including the removal of snow and ice. An owner’s failure to do so subjects that owner to personal liability for pedestrian injury. That law does not apply to owners of one, two, or three family residential real property, as long as that property is at least in part owner occupied, and is used exclusively for residential purposes. New York City also requires that the sidewalk be cleaned within four hours of the cessation of a storm, not including the hours between 9PM and 7AM. That means that if it stops snowing at, say, 3AM, the property owner has until 11AM to clean the sidewalk. Some municipalities in Westchester impose similar snow removal rules. 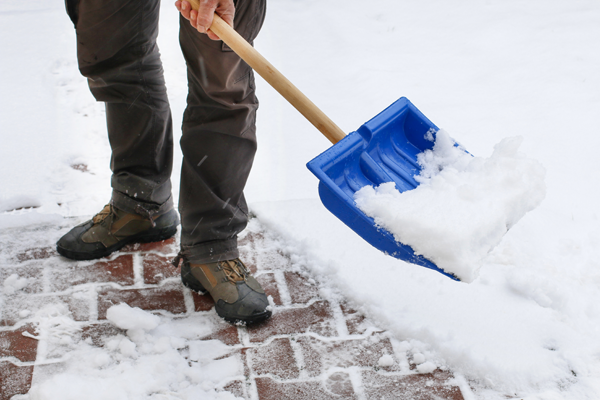 While most municipalities have ordinances that require property owners to remove snow from the sidewalks, not all of these ordinances impose personal liability upon the property owner for a failure to do so. In such cases, a violation of the ordinance is not proof of the property owner’s negligence. If the Town or Village does not impose personal liability, it can still impose a penalty for an owner’s failure to clean a sidewalk, but that penalty would not include personal liability for a pedestrian’s fall. The duty to maintain a sidewalk in front of one’s home is also mitigated by the “Storm In Progress” rule. Generally speaking, a property owner is not liable for an injury caused by a fall on snow or ice that occurs during a storm, or for a reasonable period of time after the storm is over. That means that if there was precipitation falling at the time that the accident occurred, the lawsuit will probably not succeed. For that reason, it is important to consult meteorological records from the day of the accident to determine when the precipitation stopped, but witness testimony is also important to determine when the storm was over in that specific location. The question of how much time has to pass before the property owner is liable, that is, how long is reasonable, is one to be answered by a jury, depending upon the specific nature of that storm. In some cases, a fall may have been caused not by snow actually falling, but rather by ice already on the ground from a prior storm. Cases with that factual scenario can be successful, but there has to be specific evidence of the presence of that ice. It helps to obtain records to prove that prior precipitation produced the icy condition, and that recent temperatures caused its presence. Courts will not accept speculation in support of an argument that the ice existed prior to the current storm. The principle to keep in mind with all fall down cases is that while New York law requires a property owner to take reasonable steps to maintain property, that property owner is not a guarantor of anyone’s safety. Falls on ice and snow can cause serious, debilitating and sometimes life altering injuries. The law concerning these falls is complex, and sometimes difficult to apply. Insurance companies that defend these cases are well versed in the latest Court rulings. It’s important that you retain an attorney experienced in this field, and who has the knowledge and resources to properly present your case. Call the White Plains accident attorneys at Worby Vecchio Edelman if you have suffered an injury from a fall on snow or ice, or from any type of accident. We’ll make sure you understand all of the issues, and we’ll process your case quickly. We offer a free, no obligation consultation. We work on contingency, so we don’t charge for our services unless we obtain a settlement or favorable verdict on your case.